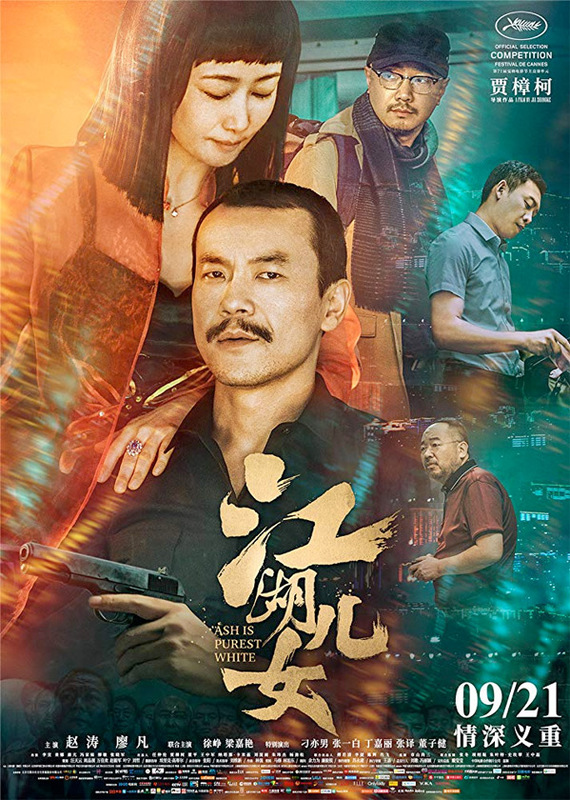 Qiao (Zhao Tao) is in love with her boyfriend Bin (Liao Fan), a small-time gangster from postindustrial Datong. During a fight between rival gangs, she fires a gun to protect him. Qiao gets five years in prison for this act of loyalty. Upon her release, she goes looking for Bin to pick up where they left off. A story of violent love within a time frame spanning from 2001 to 2017. Ash Is Purest White is written and directed by acclaimed Chinese filmmaker Jia Zhangke, of the films Xiao Wu, Platform, Unknown Pleasures, Still Life, 24 City, A Touch of Sin, and Mountains May Depart previously. This initially premiered at the Cannes Film Festival last year, and also played at the New York, Toronto, Vancouver, Munich, London, Chicago, and Torino Film Festivals. The film already opened in China last September. 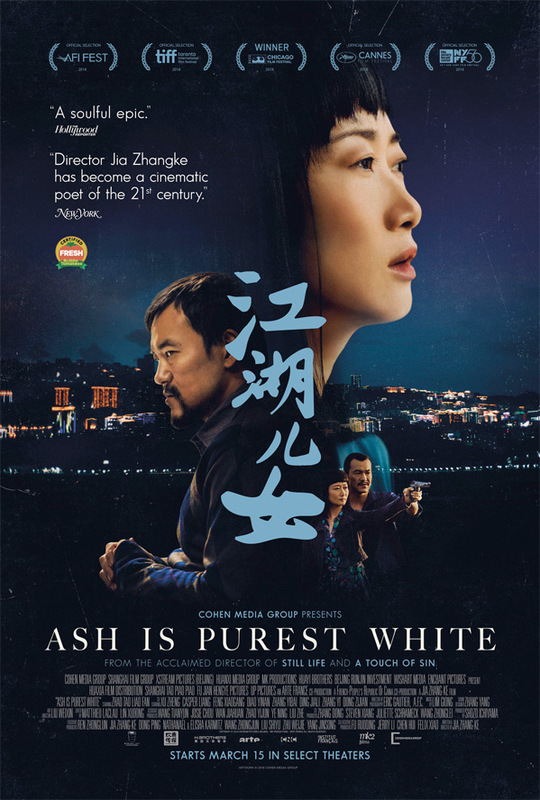 Cohen Media Group will release Jia Zhangke's Ash Is Purest White in select US theaters starting on March 15th, 2019 coming up. Interested?